If you would like to speak to one of our doctors while at home, in the office, or staying at a hotel, you can arrange for a telephone consultation with one of our experienced private doctors. Telephone consultations are easy to arrange and allow you to speak to a doctor no matter where you are. 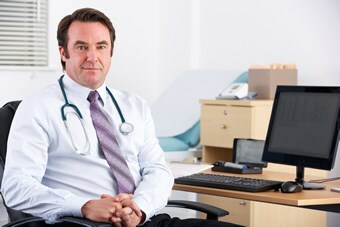 This is a convenient and cost-effective alternative to seeing a private doctor in a clinic. Appointments can be booked quickly by telephone or email. Patient details and payment are taken at the time of booking, together with your contact information for making the telephone call. Our doctor will call you at the appointed time. If you prefer, we also offer consultations via Skype; this option enables you to speak to a doctor face-to-face, and to show them your symptoms instead of describing them verbally. Doctorcall’s telephone consultation service can also be used when you are abroad and is ideal for expats and those overseas for work or leisure. The doctor can arrange for medication and for tests as appropriate using our own home-testing service. For more information, or to arrange a telephone consultation with one of our private medical experts, call 0844 257 0346 today.